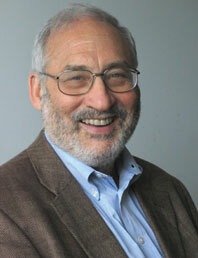 Joseph E. Stiglitz is a Nobel Prize–winning economist and the best-selling author of Globalization and its Discontents Revisited: Anti-Globalization in the Age of Trump, The Price of Inequality, and Freefall. He was chairman of the Council of Economic Advisers under President Clinton, chief economist of the World Bank, named by Time as one of the 100 most influential individuals in the world, and now teaches at Columbia University and is chief economist of the Roosevelt Institute. This powerful, unsettling book gives us a rare glimpse behind the closed doors of global financial institutions by the winner of the 2001 Nobel Prize in Economics.